How Quickly Will Results of Inter-Korean Summit be Annulled? Not too long ago as it seems, we remarked that the Olympic thaw bore its first fruit from a tactical point of view. Unfortunately, concurrent with quieting naysayers and other steps towards rapprochement, we are witnessing actions that could very soon return the situation to its former aggravated state. First of all, the negotiations are far from over but their conditions are already being reviewed. There are already implications that if Kim decides to sacrifice his ICBM program, it is essential to squeeze him further to ensure he abandon his medium-range and even short-range missiles. So far, this is what the Japanese and some South Korean media sources are voicing. While nuclear weapon destruction is already being touted as the eradication of all the weapons of mass destruction (WMDs). Up to now, denuclearization has been American’s only topic of conversation but recently the US side began to signal in its official statements that their goal is “complete elimination of WMDs from the Korean Peninsula.” For instance, John Bolton, the National Security Advisor to the US President, mentioned this during the meeting with the member of State Council of China, Yang Jiechi, on May 4. Secondly, a new concept has emerged: a peace treaty will be signed only after complete denuclearization, which, in itself, conflicts with the Panmunjeom Declaration for Peace. Joseph Yun, the former U.S. special representative for North Korea policy, calmly talked about this concept during debates held in Washington on May 7, which were organized by the Center for Strategic and International Studies (CSIS). According to Yun, it is impossible to prioritize peace over denuclearization, and the signing of denuclearization agreement will be a big mistake, as this will be a de facto admission that North Korea is a nuclear power. Joseph Yun pointed out that signing a peace treaty is not a simple matter and its implementation may take a long time (he used Vietnam as an example as the peace treaty with it took approximately 10 years to sign). Moon Jae-in did not make any comments about this. What is more, during an interview with the Japanese newspaper, The Yamiuru Shimbun, on May 8, he stated that the main condition to improved inter-Korean relations is the North’s denuclearization. Peace and joint prosperity are only possible on condition that Pyongyang abandons its nuclear weapons, the relationship between Washington and Pyongyang normalizes, and permanent peace is established on the Korean Peninsula. The Korean war ended in an armistice in 1953. From the point of view of regime preservation and border revision, both sides more or less broke even. 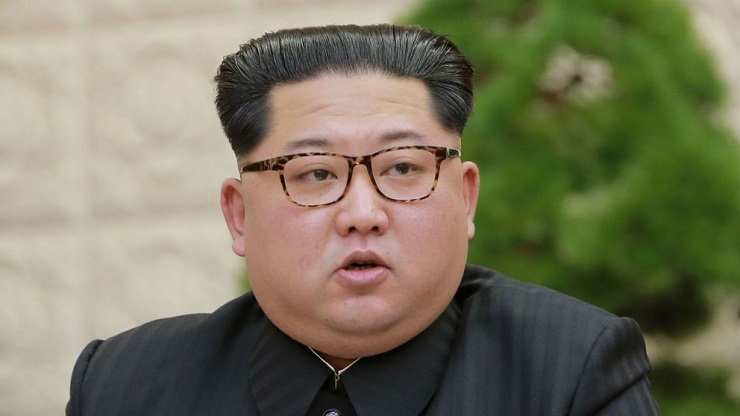 Connecting nuclear disarmament to the process of signing a peace treaty, as well as stating that a peace agreement will only be signed on condition that DPRK denuclearizes, transform these peace negotiations into the North’s capitulation, thereby establishing a world order different from the one before. In addition, China’s role in the peace talks is being marginalized. South Korea’s presidential administration maintains the position that China can participate in the peace process but in fact, the two Koreas and the US can conclude it by themselves. However, PRC was as active a participant in the war as the USA and any lasting outcomes without its participation are, to say the least, inappropriate. Thirdly, Seoul continues to systematically disinform Washington. During the previously mentioned interview with The Yamiuru Shimbun, Moon stated that he personally ensured that DPRK leader aspires to complete denuclearization. Yet it is worth noting that Seoul is quite adept at playing the game of Chinese whispers as it continues to tell Washington whatever it wishes to hear, while simultaneously positioning itself as the chief intermediary and organizer of the process. As a result, even South Korean media sources have started voicing their concerns about the fact that South Korea “may have exaggerated” Kim John-un’s willingness to disarm. In the meantime, the author considers the possibility that the summit between Trump and Kim will not be successful and one reason for this failure could be America’s misinformed state, and this could in turn affect the South Korean administration making it into a scapegoat. If these trends continue, the inter-Korean thaw may end sooner than expected making it impossible to blame Pyongyang for such an outcome.